TapSnap continues to capture the attention of consumers and entrepreneurs alike. This fall, TapSnap is emerging in Aguadilla, Puerto Rico as the island’s most interactive “photo entertainment” experience yet. Jose Areizaga, owner of TapSnap in Puerto Rico, is working alongside his wife Mara to bring TapSnap to Aguadilla, a city known for its beautiful beaches and a top tourist destination. In his new venture with TapSnap, Areizaga draws upon his background with 11 years of experience as an Air Force Technician, as well as three years of launching start-up companies. Areizaga has become a social media expert and technology guru. As an enthusiastic and driven TapSnap franchisee, he serves as a symbol of the type of high quality individuals operating TapSnap as it expands to Puerto Rico and beyond. 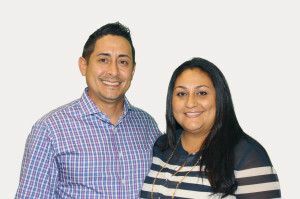 The Areizaga family is ready to introduce TapSnap to this new market and to be part of a business model that suits and compliments their lifestyles.